FOUNTAIN VALLEY, Calif., Jan. 27, 2017 – The 2017 Hyundai Santa Fe Sport and Sonata were honored with The Car Book’s BEST BETS distinction. The Car Book recognizes vehicles that adequately cater to the safety and performance needs of the American car buyer. The Car Book, the first and longest standing car buying guide, has helped consumers make educated decisions for 37 years. The Center for Auto Safety and The Car Book review the new vehicles in nine categories: crash tests, safety features, rollover, preventative maintenance, repair costs, warranty, fuel economy, complaints, and insurance. With a National Highway Traffic Safety Administration (NHTSA) five-star safety rating, the 2017 Santa Fe Sport provides crash protection and rollover safety exceeding what is required by Federal Law. Tire Pressure Monitoring System (TPMS) with indicators for each tire. HYUNDAI MOTOR AMERICAHyundai Motor America, headquartered in Fountain Valley, Calif., is a subsidiary of Hyundai Motor Co. of Korea. 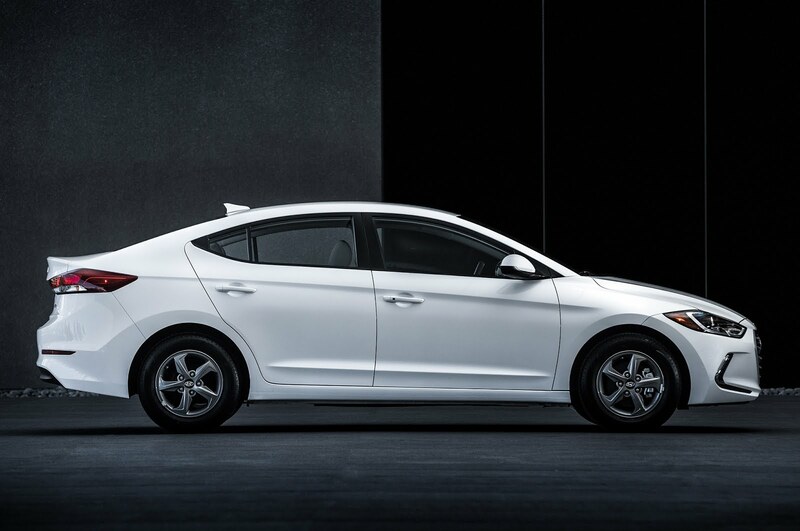 Hyundai vehicles are distributed throughout the United States by Hyundai Motor America and are sold and serviced through more than 830 dealerships nationwide. All Hyundai vehicles sold in the U.S. are covered by the Hyundai Assurance program, which includes the 5-year/60,000-mile fully transferable new vehicle limited warranty, Hyundai’s 10-year/100,000-mile powertrain limited warranty and five years of complimentary Roadside Assistance. Hyundai Blue Link Connected Care provides owners of Hyundai models equipped with the Blue Link telematics system with proactive safety and car care services complimentary for one year with enrollment. These services include Automatic Collision Notification, Enhanced Roadside Assistance, Vehicle Diagnostic Alert, Monthly Vehicle Health Report and In-Vehicle Service Scheduling. Peter Schreyer is a much revered figure within the auto design world. A mere mention of his name, and colleagues smile with admiration for he is credited for sketching the original TT - the 1998 Audi that turned heads with its formal simplicity, clean aesthetic and cool Bauhaus-inspired design. Nowadays, as creative director of Hyundai-Kia and one of three presidents of the company, Schreyer has been instrumental in creating the existing theme. Under his astute eyes, the South Korean company has metamorphosed into an exciting car brand with an inspired portfolio to compete head-on with older, more established rivals. Lately, Schreyer has been busy inventing a new global luxury marque, Genesis. Genesis is being developed primarily for the US, South Korea, Middle East and China, with the European markets planned in the horizon. The idea is to deliver six new models before 2020. The G90 and G80 have already been launched, there will be a G70 followed by two SUVs and a sports coupé. We discuss the concept of modern luxury, of how a new car marque like Genesis has the chance for a fresh approach, explore new materials that resonate with the millennials, respond to their wants, their needs. Schreyer admits that he is very much aware of the urgency to rethink the automobile for younger generations who are not connecting so strongly with traditional concepts of luxury. He offers: “This is a very interesting subject for us: how to use intelligent fabrics, how to express modern luxury.” To this end his team are working with students at the prestigious London Royal College of Art and the Art Centre College in California researching new ways to express luxury that are, according to him, more exciting and rewarding. Recently, Schreyer ruffled a few auto feathers as he hired the former Bentley design boss, the maverick Luc Donckerwolke and Lamborghini’s Manfred Fitzgerald to head up the Genesis creative studio. The strong team of creatives indicates Hyundai-Kia’s high hopes for Genesis. I ask Schreyer how he would define the marque. His answer is candid: “As it is something totally new, it is something we’re still working on. We try not to copy other brands but make our own story.” With its restrained sensibility the New York Concept, the hybrid sports sedan revealed at the New York Auto Show in March, is a good screen shot of this design philosophy. It will form the basis for the upcoming G70 and Schreyer admits some elements will find their way to future Genesis cars. Earlier in the week I popped by London’s Tate Modern gallery to see French artist Philippe Parreno’s mesmerising light installation take over the length and the height of the Turbine Hall. This is the annual Hyundai Commission project which sees an international artist create site-specific work for this epic space – and the funding by the car company is fundamental to these creative projects. 2016 = Best Year Ever in Sales and Awards! Hyundai tallied its seventh consecutive year of record U.S. sales with a total of 775,005 units, an increase of 1.75 percent. For the month of December, HMA notched 60,572 Hyundai and 1,733 Genesis sales. “As consumer confidence surged in December to the highest level in more than a decade, we were able to capitalize on that and set a new record for sales in 2016,” said Derrick Hatami, vice president of national sales for Hyundai Motor America. Tucson set a new sales record in December and for the entire year, with sales up 4 percent for the month and 41 percent for the year. Combined sales of Santa Fe and Santa Fe Sport were up 14 percent for the month, making it the best Santa Fe December ever, while also achieving double-digit growth on the year. Even sales of certified pre-owned Hyundai vehicles set an all-time record. Pros and Features. The Veloster is a compact hatchback that is fun to drive. It is uniquely designed and has good fuel economy. It also offers a lot of features making it well worth its cost. Cons. The Veloster is not as sporty as it looks. It also has a noise and harsh ride quality. Its base engine provides very slow acceleration. In addition, its rear-seat access and headroom are very limited. What's New? The 2016 Veloster has a new limited-edition turbocharged Rally Edition. It has special wheels, a special color of paint, and a sportier suspension tuning. The Veloster Turbo also gets a new seven-speed automated M/T and new seats. The base and Turbo models also get an upgraded navigation system with tech integration features. Models. The Hyundai Veloster 2016 comes in four different models: base, Turbo R-Spec, Turbo Rally Edition, and Turbo. The base model comes with 17-inch alloy wheels, LED running lights, and full power accessories. In addition, it also has heated mirrors, a rearview camera, cruise control, and other tech features. There is an available Style package which adds 18-inch wheels, a panoramic sunroof, and other tech and comfort upgrades. The Veloster Turbo R-Spec has a more powerful engine, a lower body kit, and sport-tuned suspension. It also has a special torque-vectoring that applies the brakes selectively to improve handling. In addition, it also adds LED headlights, a better sound system, and other features from the Style package. The Turbo Rally Edition adds 18-inch Rays wheels. It also has a sportier suspension and leather upholstery. It comes only in "Matte Blue" paint which is also unique to the Rally Edition. The Turbo features less aggressive suspension turning and steering. It adds creature comforts like unique wheels, different styling elements, and leather upholstery. Other special features like keyless ignition and entry and lumbar adjustment are also available. Verdict. The Hyundai Veloster 2016 is an affordable and unique compact pseudo-hatchback. While it may not be as fast as it looks, it is fun to drive and is fuel efficient as well. 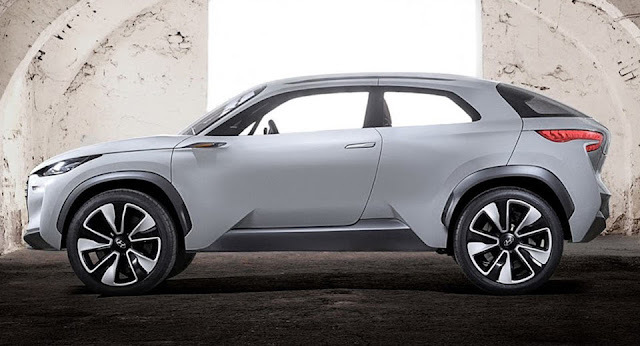 Hyundai is said to be prepping the introduction of a new small SUV, which will slot below the current Tucson/ix35. Set to rival the likes of the Nissan Juke, Renault Captur, Opel/Vauxhall Mokka and Peugeot 2008, it could borrow styling cues by the Intrado concept, shown two years ago, and arrive as part of the i20 range, alongside the supermini and the ix20 small MPV, as AutoExpress writes, citing senior sources. The engine lineup could come from the all-new i30 and include a range of 1.0-liter, three-cylinder, and 1.4-liter, four-cylinder petrol units, along with a 1.6-liter diesel, in several states of tune. Hyundai's recent move to trademark the ix15, ix25, ix30, ix45 and ix55 monikers might be an indication that the baby SUV will wear one of these names when it will be introduced, probably before the end of 2017. Most Super Bowl advertisers spend months on their ads. Hyundai this year will condense the process into roughly three hours by filming its spot during the game. The 90-second ad, which the automaker is calling a documentary, will air in the so-called "post-gun" slot that airs immediately after the game ends but before the trophy ceremony. Hyundai has not disclosed creative details other than to say in a statement that the ad will capture "some of the best off-the-field Super Bowl moments." But the tactic demonstrates the lengths to which even marketers using advertising's biggest stage will go to stand out, and the creativity being brought to a showcase for a "traditional" format like TV commercials. The director is Peter Berg, who will "shoot, edit and produce the 90-second documentary in real time," Hyundai said. His directing credits include films such as "Patriots Day" and "Deepwater Horizon." Hyundai agency-of-record Innocean Worldwide is also involved. Hyundai, an official NFL sponsor, ran two 30-second in-game ads last year, plus one pre-game ad. "Super Bowl is the biggest day in advertising and following our incredibly successful 2016, we wanted to push the creativity and storytelling even further," said Dean Evans, chief marketing officer for Hyundai Motor America. "Our brand commitment is to make things 'better' and we are going to give some deserving fans an experience they will never forget. Peter Berg and his team will be capturing it live during the game and we can think of no one better to tell what will be an amazing story." The automaker plans to tease the ad this weekend during the AFC and NFC championship games with ads featuring former NFL stars Joe Montana and Mike Singletary. While Hyundai's approach is unique -- and sure to grab the kind of attention that Super Bowl advertisers crave -- it is not the first time a marketer has used same-day Super Bowl footage. Reebok in 1994 ran a Super Bowl ad that spliced in footage from the Cowboys-Bills game underway. Read more about that spot in Ad Age's Super Bowl ad archive. The difference with the Hyundai spot is the automaker's claim that it will create the entire ad during the game, rather than just insert some game footage. The "post-gun" ad slot is not technically a Super Bowl ad by the strictest definitions. Purists consider Super Bowl ads to be national spots that run between the kickoff and final whistle. But the slot has proven to be valuable real estate. In 2014, for instance, Esurance won attention by running an ad immediately after the game that included a Twitter contest to give away $1.5 million. The marketer boasted that it saved 30% by running the ad in that slot. Hyundai proved last year that ads falling outside of the traditional Super Bowl window can be effective and generate just as much attention as in-game ads. The automaker's pregame ad, which aired between the coin toss and kickoff and starred Kevin Hart, finished first in the USA Today Ad Meter (and helped prompt Ad Age to begin counting anything between the coin toss and the final seconds of play as a "Super Bowl ad"). Hyundai's plans this year include an on-site marketing activation in Houston at "Super Bowl Live," the nine-day fan festival downtown that celebrates Super Bowl LI. Hyundai's program will "include an opportunity for fans to interact with Hyundai vehicles and learn about its history of innovation, the overall theme of Super Bowl Live," the automaker stated. SEOUL, South Korea — Hyundai Motor Group said Tuesday it will significantly increase its investment in the U.S. while Donald Trump is president and is considering building a new U.S. factory. 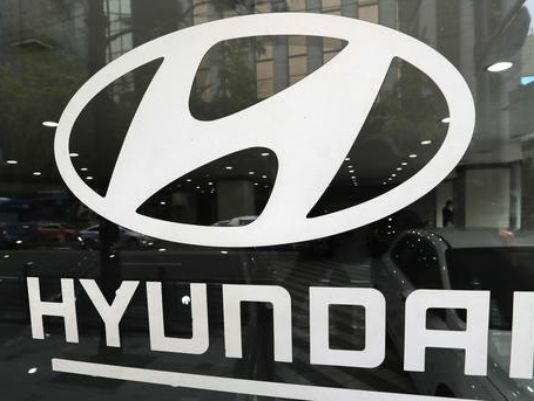 Chung Jin Haeng, a president of the world's fifth-largest automotive group, said Hyundai Motor, Kia Motors and their affiliated companies will spend $3.1 billion by 2021 on research and development and maintaining their factories in Alabama and Georgia. That represents a 50% increase from the $2.1 billion the companies invested in the U.S. in 2012-16. The increased spending comes mostly from research and development, as the South Korean maker of the Genesis and Tucson invests in artificial intelligence, autonomous driving, environmentally friendly cars and other future technologies. Chung said Hyundai will study building a new U.S. factory if demand for cars rises during Trump's administration. The new administration's promise to create 1 million jobs and attract new companies could stimulate demand for cars and other products, he said. "If there is such a sign, we will immediately review (the new plant)," he told reporters. "We won't miss when the time is right." Hyundai did not provide any further details about a possible new plant. The South Korean group does not usually disclose its five-year investment plan for specific countries, and the announcement of the U.S.-specific investment plans comes just a few days before the president-elect takes office on Friday. Since Trump won the election, he has badgered auto companies about building their cars in the U.S. rather than Mexico. The South Korean automotive conglomerate has not yet drawn public attention from the president-elect, who threatened to impose a border tax on vehicles made in Mexico by Ford, General Motors and Toyota. Automakers have responded to Trump's threat by affirming their commitment to the U.S. market. Earlier this month, Ford announced it had scrapped plans to build a new $1.6-billion small-car factory in Mexico while Fiat Chrysler announced a $1-billion investment plan in its two U.S. factories. Nearly all automakers build small cars in Mexico to take advantage of its lower wages. Hyundai is not an exception. When Kia's first Mexico plant launched operations just two months before the Nov. 8 election, the group said about 80% of the vehicles assembled there will be exported mainly to the U.S. and other countries. The plant has a capacity to turn out 400,000 cars per year. That Mexico plant is now "a source of worry" for the carmaker, Chung said, without elaborating. He said Hyundai does not plan additional investments in Mexico. He denied that political pressure was behind the company's announcement of its U.S. investment plan. "The U.S. market is strategically important for us," he said. "Success or failure in the U.S. market is a measure of global success." 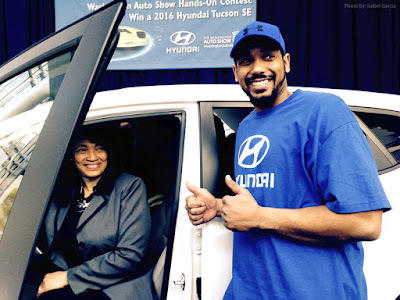 Hyundai "Hands On" Contest Puts Washington In Touch with a New Car! WASHINGTON, Jan. 16, 2017 /PRNewswire/ -- Washington's favorite reality show returns! The Hands-On Contest at The Washington Auto Show® will put a handful of lucky Washingtonians in touch with the chance to win a brand new Hyundai Tucson! The legendary Hands-On Contest, in which show guests must stay in nearly constant physical contact with the prized vehicle for a period of several days, first wowed Washingtonians in 1999 when the match came down to a test of wills between an officer from the army and navy. This year's contest, which will run from Tuesday, Jan. 31 through noon on Sunday, Feb.5, will feature a host of locals who will compete for the chance to drive home in a new 2017 Hyundai Tucson SE FWD. "The Hands-On Contest is a hallmark of The Washington Auto Show that puts the thrill of a new car within arm's reach," said Kevin Reilly, president of Alexandria Hyundai and board member of the Washington Area New Automobile Dealers Association, producer of The Washington Auto Show. "We are grateful to the Washington Area Hyundai Dealers for sponsoring this contest and giving away this vehicle, allowing us to showcase Hyundai's cutting-edge technology and innovative new models such as the 2017 Hyundai Tucson SE FWD." For a chance at competing in the Hands-On Contest, area residents must register via www.washingtonautoshow.com, no later than 12:00 noon on January 23, 2017. They will be asked to provide a short explanation of why they want to win the car. Thirty applicants will be chosen from that pool of registrants to qualify for the next round, from which a final group of 10 will be screened and selected by The Washington Area New Automobile Dealers Association (WANADA) to participate in the final stage of the competition. Contest rules require that all participants keep their "hands on" the Hyundai for the duration of the contest. Finalists will be positioned around the prize vehicle at random by the judges and must be continuously in physical contact with the vehicle at all times (excluding sanctioned breaks). If a participating contestant does not maintain continuous contact with the vehicle for any reason, including reward challenges, that contestant will be disqualified. The last person remaining in physical contact with the prize vehicle will win it. In the event that the end of the live contest leaves more than one finalist, a random drawing will be conducted by the sponsors to determine the winner. Each participating contestant will be responsible for acquiring his or her own food and beverages. Each contestant may bring no other personal property to the contest except for the following: one blanket, one change of clothes and one set of toiletries. Once the contest has begun, no additional personal property will be permitted. A regular break of exactly 15 minutes is scheduled every three hours. (Participants returning late from these breaks will be disqualified.) No electronic devices, reading, writing or drawing materials are allowed, and smoking, alcoholic beverages, offensive language and physical contact between contestants are prohibited. Family, friends and onlookers are encouraged and welcomed, but only contestants are allowed within the confines of the contest space. The Washington Area New Automobile Dealers Association (WANADA), producer of The Washington Auto Show, will have complete judging and management authorization on behalf of all sponsors. The contest is open to all legal United States citizens 18 years of age or older. Contestants must be at least 18 years of age by December 31, 2016 to participate. All entrants must have a valid driver's license and proof of insurance. No Purchase necessary to win. Void where prohibited. All federal, state, local laws and regulations apply. For complete contest rules or more information about The Washington Auto Show, visit www.washingtonautoshow.com. The Washington Auto Show has become a beloved annual tradition among Washingtonians who marvel at the growing display of mobility technologies, exotics, stars and cars, interactive displays, contests and mascots. Hundreds of new vehicles and concepts from 38 domestic and import manufacturers will fill the Washington Convention Center with three levels of advanced exhibits. The event is open to the public January 27 to February 5. For the latest schedule and details about discounts through METRO along with special promotional prices for students, seniors and children, please visit The Washington Auto Show online at: www.washingtonautoshow.com. WASHINGTON — Hyundai’s compact sedan, the Elantra, has been redone for 2017. I was impressed last year after I spent a week with the top-of-the-line Limited trim level, which carried a more luxurious list of features and options than many compact sedans. The Eco trim level is all about better fuel economy at a reasonable price. The way Hyundai approaches better fuel economy is to go with a smaller turbocharged engine. Usually, going to a smaller engine means a big loss in power. Luckily, that isn’t the case here. There might be fewer ponies under the hood, but the Elantra Eco seems faster and more refined than the larger, coarser engine in other Elantras. The Eco is more alive; it’s a little peppy around town and has no problem keeping up with traffic. The transmission is also different when you choose the Eco trim level. The regular automatic is changed to a seven-speed dual clutch transmission. It usually behaves like an automatic, but feels like a manual when starting from a stop sometimes; it takes a few minutes to get used to it. The ride is pretty quiet for a compact sedan, and the small 15-inch wheels and tires with large side walls provide a very nice cushioned ride. After a week of driving, I managed 34.4 mpg with a healthy dose of city driving and, in mixed-driving conditions, just a bit under the sticker’s 35 mpg. When you choose the Elantra Eco, it means you lose the leather seats from the Limited model I drove last year, but the cloth seats are still pretty solid and a step up from the previous generations’ materials. You still get a leather-wrapped steering wheel and shift knob, and the front seats are also heated. The other materials seem to be an upgrade for 2017. There still is a good amount of hard plastic, but with a better finished look. Rear seat space is good for the class as well, with space for adults. Trunk space is a bit smaller than some of the competition. Rest assured that with its lower price — around $21,500 — it’s not a stripped economy-minded compact. A large seven-inch touch screen and six-speaker sound system are nice touches. There’s no built-in NAV, but both Android Auto and Apple CarPlay are supported, so you can use your phone for NAV when needed. There is even a rear-vision camera and blind spot detection with rear cross traffic alert — a pleasant surprise at this price. The exterior has changed for 2017; it now looks like a smaller Sonata sedan, with the same sort of front-end styling. That large grill lives boldly up front, and it’s really rather large. There are interesting LED running lights for daytime driving under the regular headlights; it seems to be a signature feature for the new Hyundai models. Those wheels are pretty small, and they look a bit odd on a modern car, but that’s the sacrifice for better fuel economy, I guess. The side view is rather sleek-looking, with a higher trunk line meeting a sloping roofline. I also like the blacked-out trim around the windows. It’s a nice touch with the scarlet red paint. After a week with the 2017 Hyundai Elantra Eco, I came away impressed with the value for the money on this compact sedan. It comes off as a more expensive-looking car than the sub-$22,000 price tag. With handsome looks and a lot of features, road warriors can have a value-packed machine with a long 10-year powertrain warranty for extra peace of mind. 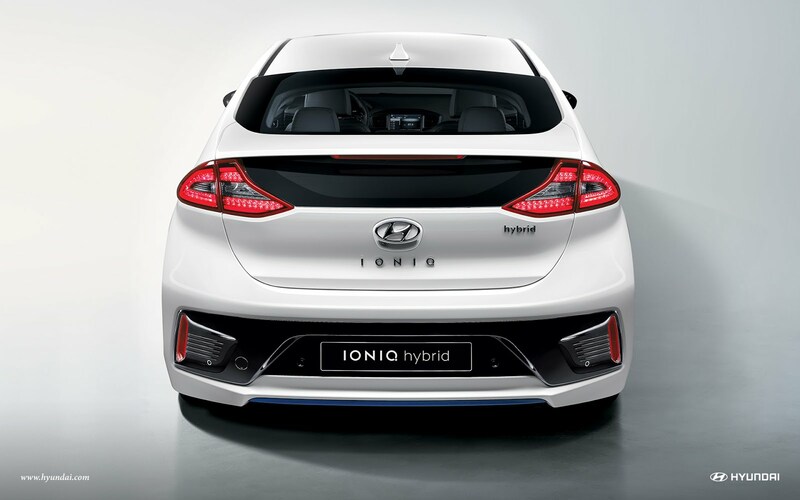 LONDON, UNITED KINGDOM--(Marketwired - Jan 12, 2017) - The Hyundai IONIQ has been awarded Best Small Hatch at the UK Car of the Year Awards 2017, beating competition from the Renault Megane and MINI Clubman. Tony Whitehorn, President and CEO, Hyundai Motor UK said "IONIQ has only been available since October yet has already received praise for its eco credentials and also its more mainstream capabilities. The award for Best Small Hatch from the UK COTY judges once again proves that Hyundai is offering exactly what the market wants - eco-friendly vehicles that drive well and look good that are also cost effective to run." IONIQ - along with 11 other winning cars - will now go forward to a final category to decide the overall UK Car of the Year 2017. The winner will be announced on 24th February 2017. Hyundai showed that it is possible to bring cars into your living room with its Mobility Vision Concept at the CES Show in Las Vegas. 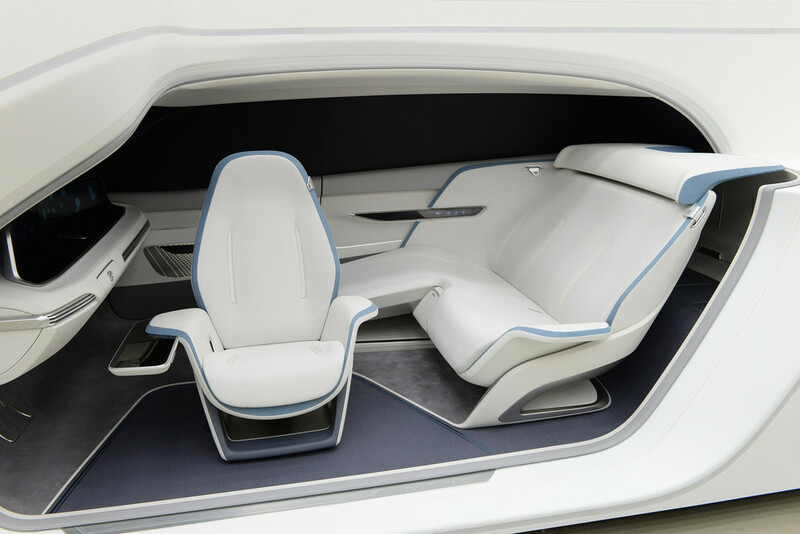 The Mobility Vision concept imagines a future in which an autonomous car can be parked right next to the living room and becomes just another piece of furniture. The driver’s seat is mounted on an arm that can easily pivot and extend into the living room where it can serve as a replacement for a chair or a sofa. When the motorist needs to leave the house, it can pivot right back into the car to resume its role as a car seat. Instead of conventional side-hinged doors, the vehicle would have a single, large door that swings upwards and give unobstructed access to the passenger compartment. In addition to the seat, users would be also able to use other features of the car like its air conditioning unit and sound system instead of their home air conditioning system and home stereo respectively. The car is powered by a hydrogen fuel cell that generates power and it can serve as a backup source of power if the power fails. Hyundai does not expect Mobility Vision to reach the production stage anytime soon. However, the Korean car manufacturer is definitely investing a substantial amount of time and money into the development of convenient, high-tech features that improve the lives of motorists. “Hyundai Motor recognizes the significance of connected technologies and the extent to which they could benefit our customers’ daily lives,” affirmed Hak Su Ha, the director of Hyundai’s design center. Horsepower and fuel efficiency are still top of mind for carmakers, but now so is something else: your mood. Hyundai Motor has unveiled a concept cockpit for a car that it says could "monitor the physical and mental state of the driver." Determining a driver's mental state will help ensure the "optimum health and mental attitude" for safe driving, Mike O'Brien, vice president at Hyundai Motor Americas, said Wednesday at the Consumer Electronics Show in Las Vegas. Tracking heart rate, posture, breathing and facial feature recognition, the car would deliver "mood bursts" to make the driver calmer or more alert, Hyundai said in a statement. The "burst" could include adjusting the seat position for either more alertness or relaxation, as well as adjustments to the warmth of the car's lighting, temperature, music volume and even the scents of lavender or eucalyptus inside the car, Hyundai said. For now, the "mood bursts" are limited to a virtual reality experience, offered at CES. Other companies are already taking a similar approach: Nvidia CEO Jen-Hsun Huang expressed comparable ambitions in his keynote address the show, saying a car should act like an artificially intelligent co-pilot, using facial recognition, lip reading and gaze tracking to tell whether a driver is "too aggravated" and needs to pull over. An AAA study last year found that nearly 80 percent of drivers "expressed significant anger, aggression or road rage behind the wheel" in the previous year. One such confrontation recently made headlines after a toddler was shot in an alleged road-rage encounter. Hyundai's simulation is part of a larger push toward autonomous vehicles, which will soon be safer than human drivers, according to proponents like Huang. For Hyundai, the future of the car is also clean and connected. The company also announced on Wednesday that it would partner with Cisco to ensure security for self-driving connected cars, and that it would release a new hydrogen fuel cell car by 2018. "We are joining the party by sharing our own vision for future mobility," Hyundai Vice Chairman Eui-sun Chung said in a speech. "It's the start of a new year, and if you spent any time at this show, you will hear people say that we are at the start of a new era. … This has huge implications for mobility."